In March of 2015, the DRIVE for Universal Healthcare embarked on its last tour. We were hoping to start in Texas and travel east through "red" country, combating the lies and propaganda that inundate the Southern states, though they are also some of the poorest, sickest areas in the country and most needful of the facts about Medicare for All. We would have loved to see activist friends from Healthcare for All Texas, visit AIDS Alabama, and spend time in New Orleans, but it was not to be. Unfortunately, we couldn't raise enough money for such an extensive trip and set out on a shorter journey to Georgia, and the Carolinas. Our first stop was East Lake Commons, a charming community in Decatur, GA, outside of Atlanta. 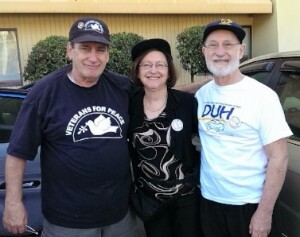 Here we were reunited with fellow advocate Lisa Parsons and her husband Pete. Lisa and Pete welcomed us into their home, provided Laurie and Terry with a place to stay and Pete even cooked two meals for us! From Atlanta, we traveled to Savannah, where we met dedicated activist and union man Philly Meyers. Philly became the first monthly donor for the Healthcare Justice March. In Savannah, his tireless efforts and amazing generosity resulted in the screening happening in an auditorium at Armstrong College. 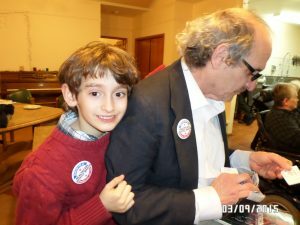 He had buttons made to hand out to the audience, and he arranged for NC activist Leslie Boyd to share her powerful story -- she would later speak at the HJM. Philly also provided Laurie and Terry with housing for the night. What a guy! 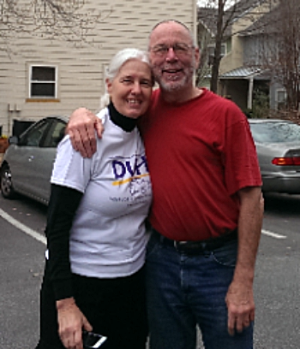 Lisa and Pete - great hosts, dedicated advocates,and wonderful people! Attending the screening were Dr. Neil Shulman of "Doc Hollywood" fame, his wife Zoe and their 8-year-old son Myles who was already socially conscious, donating copies of his poster book "Make the World Happy" to help the cause! Philly, Laurie and Terry say good-bye before we leave for Columbia. We journeyed on to Columbia, SC, and then Asheville, Charlotte, and Raleigh, NC. Leslie Boyd was kind enough to arrange the screenings in Asheville at the First Congregational Church and Charlotte at the Holy Covenant United Church of Christ and joined us for both screenings. Unfortunately, no photos were taken at Asheville, but there is the video below. In Charlotte, only the couple who came to unlock the church were there and we didn't show the movie - we did have a nice conversation, though! We had a very special guest in Raleigh. 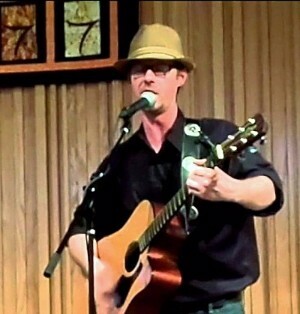 Joshua Lowe, singer/songwriter and all-around Renaissance Man, performed Silence Is Consent and Need (from his first album Inimicus). We presented the screening at the Unitarian Universalist Fellowship of Raleigh where Donna and I had visited in February when we went to participate in the HKonJ March. Ticie Rhodes, then in charge of social justice activities for the Fellowship, arranged the screening. Her husband Tom took us to Big Ed's the next morning for breakfast. 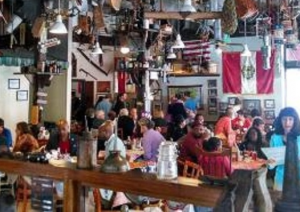 It was a fascinating place with tools and implements hanging from the ceiling and great food! Sue participated in the panel discussion after the movie in Columbia, SC. The other panelists were Pastor Neal Jones of the Unitarian church where we were; Donna Dewitt, past president of AFL-CIO; Dr. David Keeley, then president of PNHP-SC; Dr. Allan Brett, Internist and professor at the University of S. Carolina; and David Ball, Air Force nurse, activist, and author of the healthcare bill then in the SC legislature. It was excellently organized and led by Dr. Emilio Perez-Jorge. Joshua Lowe performs his great songs "Silence Is Consent" and "Need." Breakfast at Big Ed's in Raleigh was fantastic! 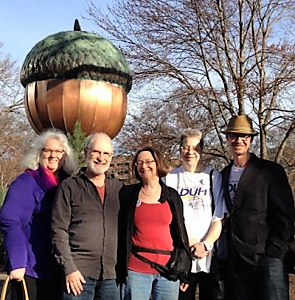 The group under the world's biggest acorn - just a bunch of nuts! From Raleigh, Laurie and Terry headed for Sacramento, California, Joshua drove his van back to Virginia, and Sue and Donna proceeded to Washington, DC, where they met with the National Park Service, Miles Clark from National Events, and toured the site of the future Healthcare Justice March. None of us knew if this would be DUH's last tour or not, but it had certainly been a good run. Now we'd have five months to pull the Healthcare Justice March together and that would take all our effort and focus.